appearing here soon. It's half past midnight and I've only just finished beading my piece so I will post the full hunt in the morning. My stitching time didn't start until 10.30 because I had to make a real egg hunt for the Large Boy complete with clues! This is Dewdrop by Just Nan, mounted on a scrapbook page with the ribbon Jan wrapped the parcel in. Last year Jan admired my Little Red Xmas House so I sent her the chart. She thanked me by adding another chart to my Just-Nan-a-thon! Perfect for this Easter Hunt. Stitched on 28count evenweave with several substituted colours including the rabbit's browns. I blended two browns to make his fur. I also used variegated greens for the border. I'm pleased with the way the beads have caught the light in this photo, makes staying up late to stitch them worth the time! I've been stitching the WOCS' Flower of the Month series for the Birthday club on Needlecraft Haven but we didn't have an April Birthday so I asked for volunteers among my followers. Susan obliged and received a Daisy for April. This time I coloured in the background using my pens rather than the flower, making an assisi style card. Needlecraft Haven have covered the next few months but I have a space for August so if you're an August Baby then let me know! Just about to put my post up. Happy Blogoversary! What a lovely blog you have here. Happy Easter! Hooray for chocolate bunny! I am ashamed to admit I worked on one last week and ate the whole thing as of yesterday! tee hee A happy, Blessed Easter to you! I think that the solution to the puzzle is "Chocolate Bunny". I'm back! Love the JN bunny finish. Well, once someone guess it, then everyone will know, lol. Some of the sites did not have a letter yet, but I figured it out, Chocolate Bunny. the phrase is 'chocolate bunny'! What fun! Going to go back and read more on some blogs and comment now! Happy Easter across the water! Hugs! Just became a follower via Beth's Blog. Hope you have a good Easter. The phrase is Chocolate Bunny. I think I have the phrase, is it "Chocolate Bunny"? I almost forgot to wish you a Happy Easter and Happy Blogaversary!! Happy Blogoversary!! Love the birthday card for Susan!! Since I did one comment that you can post, I will do the second one that you can hold. The treasure hunt phrase is Chocolate Bunny!!!! It was fun. I left messages on all of the blogs and I am going to go back now and become followers of the ones that I don't already follow. Including yours. It was so nice to meet you during your fun little hunt. Looking forward to reading your blog now that I will be a follower. Happy Easter!!! I hope you are having a Happy Easter! Happy Easter! How fun, a treasure hunt!!! what a fantastic idea, I had lots of fun going around to the different blogs to find the letters! Thank you so much for doing this fun treat! Jo the answer is Chocolate Bunny!!!! 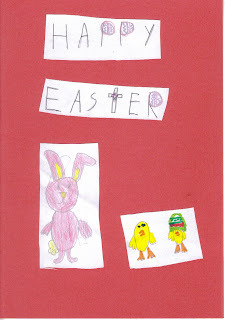 Hi Jo - thanks for doing this Easter Treasure Hunt it was a fun way to find some new blogs I haven't read before. The phrase is "Chocolate Bunny"
It was so much fun going through all the photo poster blogs and seeing all the fun Spring/Easter photos! One of the letters hasn't been posted yet, but it looks like the treasure hunt phase must be Chocolate Bunny. Have a Happy Easter Jo. That was fu. Going from one blog to the other gathering a letter for the word: Chocolate Bunny. Chocolate bunny! One of my raves! The profile picture tells you all:-) with a thank you this Lizzie Kate for this one. The phrase is "Chocolate Bunny". This was so fun! Happy Easter!! Well it's still Easter in my neck of the woods for 3 more minutes!! What a fun thing to do! Loved all the blogs and their stitching. The answer is Chocolate Bunny! I hope you and yours had a wonderful Easter. Thanks for sponsoring the hunt. The phrase is Chocolate Bunny! Yummy. I love how your bunny stitchery came out...really awesome! What's the answeR?!!!LOL! I hope you had a wonderful Easter!